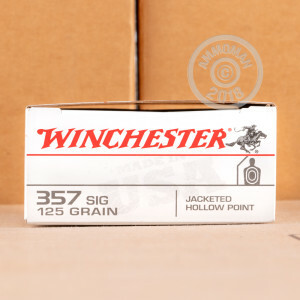 This economical Winchester .357 SIG ammo for P229s, Glock 32s, and other handguns is a cost-effective option for self-defense. 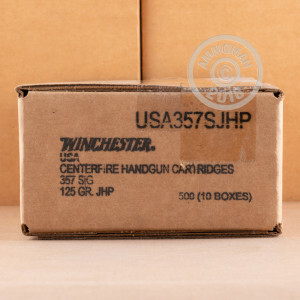 Each cartridge in this box of 50 fires a light 125 grain jacketed hollow point bullet at a high muzzle velocity of 1,350 feet per second for more reliable expansion and fragmentation. 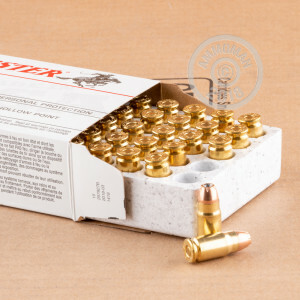 Purchase $99 or more worth of ammo in a single order at AmmoMan.com to get free shipping!